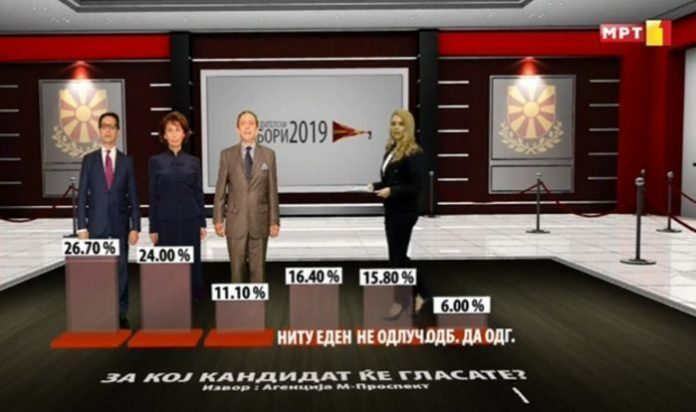 MRT poll: Siljanovska overwhelmingly leads among Macedonians, Pendarovski’s advantage is in a statistical error! 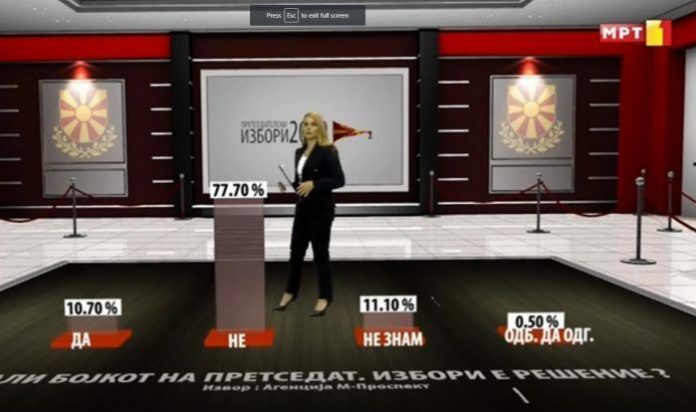 MRT published a poll ahead of Friday’s TV debate, according to which the presidential candidate of VMRO-DPMNE and the coalition Gordana Siljanovska Davkova overwhelmingly leads among the Macedonians. 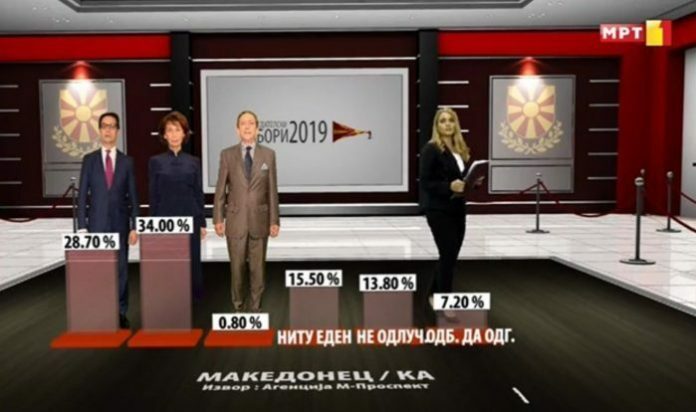 According to MRT’s poll, 34% of ethnic Macedonians would vote for Siljanovska, while 28.7% for Pendarovski and 0.80% for Blerim Reka. MRT’s was conducted by the “M-prospect” agency on a representative sample of 1190 respondents. According to the claims of the TV, the statistical error is 2.8%, and slightly less than the total advantage of candidate Stevo Pendarovski ahead of Gordana Siljanovska Davkova. Pendarovski with a rating of 26.7% leads with an advantage expressed less than a statistical error of 2.8% before Siljanovska with a rating of 24% and Blerim Reka with 11.10% support. 16.4% of voters said would not vote, and 15.8 said that they have not decided yet and 6% refused to respond. At the same time, according to MRT’s poll, a boycott will also fail, for which only 10.7% of respondents were in favor.